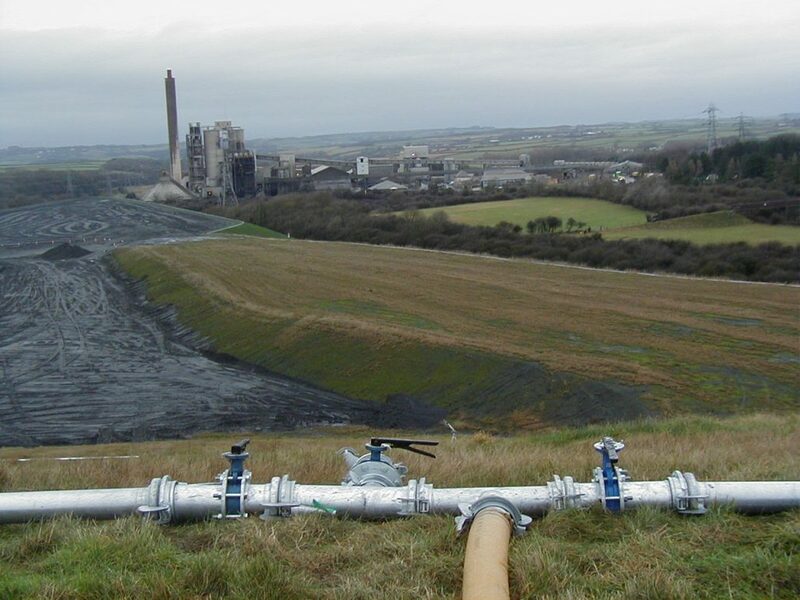 Dust emission from coal stockpiles and dust mounds is an environmental problem causing local residents and businesses to deal with extremely difficult living conditions. Dust emission from coal stockpiles and dust mounds is an environmental problem causing local residents and businesses to deal with extremely difficult living conditions. 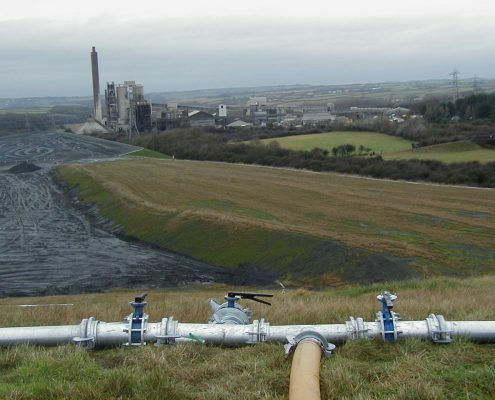 Controlling these emissions is an important part of your responsibility to the environment and local community and using our proven blanket coverage dust suppression system these potential problems can be eradicated. 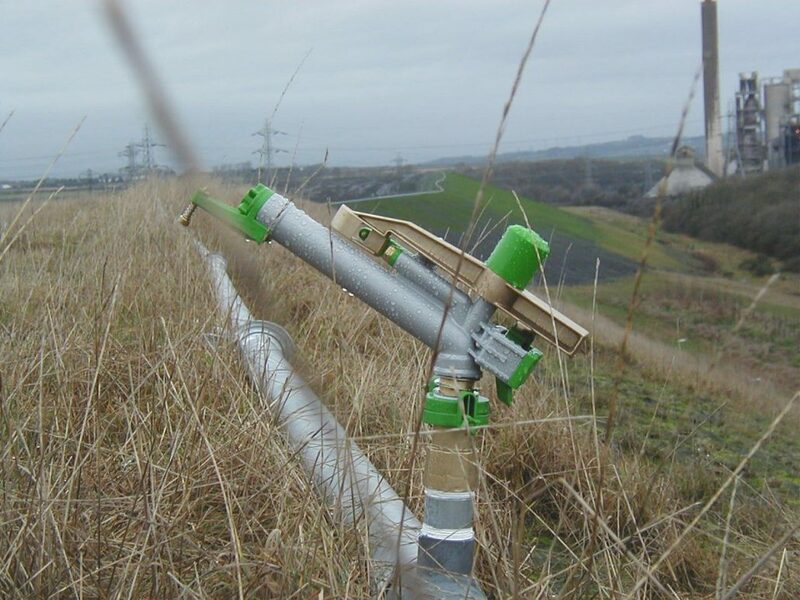 Our blanket coverage dust suppression system was supplied and installed on a coal dust mound at the end of 2003, controlling emissions to nearby villages. 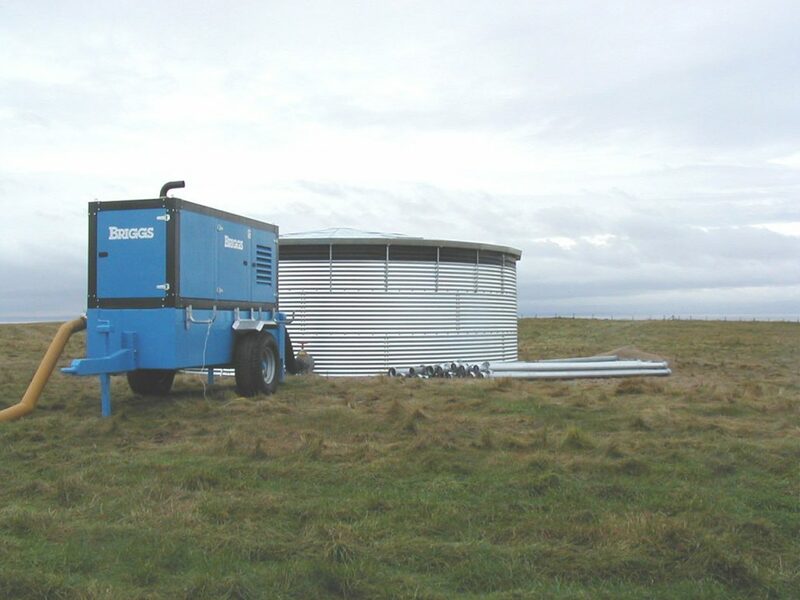 The system was supplied by a 21000 gallon capacity sectional steel water storage tank with Pvc liner and section steel roof and powered by a Briggs six cylinder diesel engine pump set all located on top of an existing seeded dust mound. The system is controlled by a triple lever operated manifold located next to the diesel pump set. 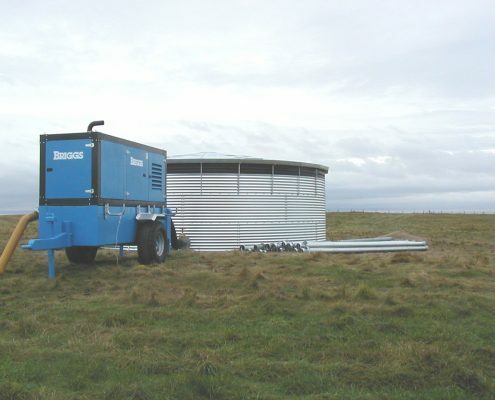 Each valve supplies a series of water cannons and rainguns via 4″ portable Bauer mains pipe work and layflat hoses. 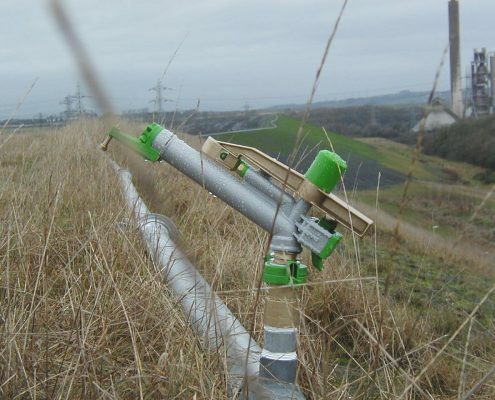 The advantages of using portable pipe work and hoses are that as the dust mound is built up the equipment can be easily disconnected and raised to the new required level so maximum efficiency can be maintained. 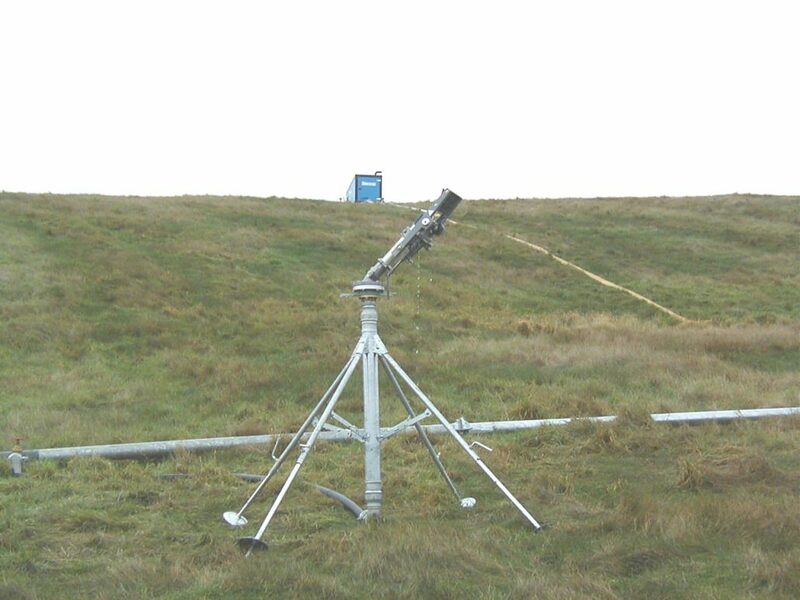 When the system is operated a wall of water is projected from the rainguns and cannons located around the perimeter of the dust mound stopping any dust from being blown down onto nearby villages and businesses whilst also dampening down the surface dust.